09:00 – A shorter episode today because my flight to Singapore leaves in a few hours! 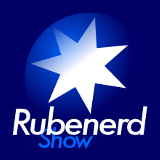 Briefly talking about the trip, the Rubenerd Show Christmas 'unplugged' episodes coming up from Singapore and Malaysia, an adventure at Subway and an Aussie-sung Christmas song. See you on Sunday.